Set out on an adventure with the Dodge Ram 1500 for sale near Vegreville at Bonnyville Dodge and let our experienced team of professionals help you find the best model for your driving needs. We’re pleased to have a wide assortment of fantastic options for you take out and explore with. Consider, for instance, the practical value that comes from driving a Ram 1500 that’s been equipped with the outstanding 3.6-Litre Pentastar VVT V6 engine, or step out and see the world in the comfort of a truck that’s been carefully and considerately designed to handle the tougher work with the 5.7-Litre HEMI VVT V8 engine. If you need something a little different, check out the 3.0-Litre EcoDiesel V6 engine that offers award-winning precision and all the elevated qualities that put you back on the road with a sense of success and reliability that modern drivers should anticipate from a brand like Ram. Work with our team at Bonnyville Dodge and allow us to walk you through the options, test drives, and refinements until you discover the Dodge Ram 1500 for sale near Vegreville that works best for your driving needs and expectations. Let’s get you driving a comfortable vehicle that stands out. Let’s help you determine what features, cabin sizes, cargo bed lengths, and technologies you might need to get back on the road to a more successful driving experience from now on. Just reach out to us today and we’ll be glad to offer our insight and expertise in the process. 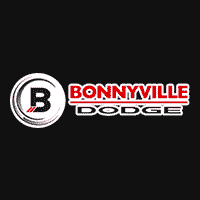 Whatever you might need – there’s an opportunity awaiting you today at Bonnyville Dodge! We’re here for you every step of the way. Just let us know how we can make your time with us better and we’ll do our best to connect your dreams of driving better with the reality you deserve.